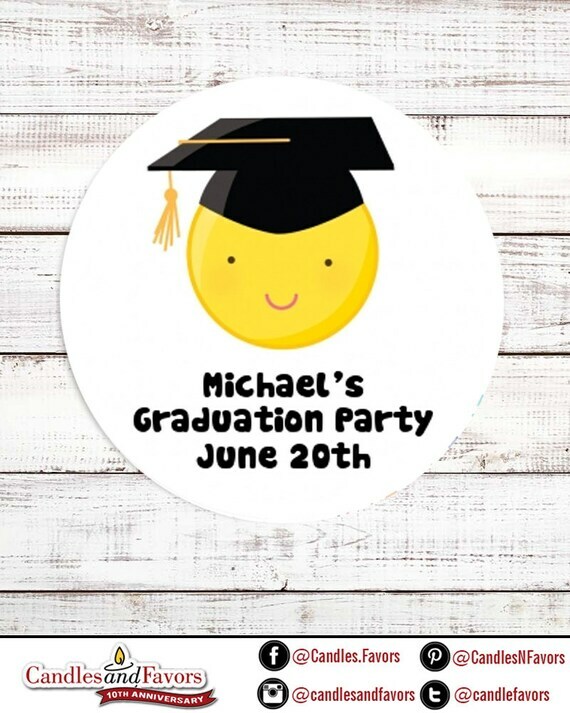 Our Emoji Graduate - Personalized Round Graduation Party Sticker Labels are the perfect way to add a little style to a "do it yourself" graduation party project, store-bought favors or even a graduation party gift. We offer 10 different size stickers in the pull-down menu in each shop listing. * 2.5 inch circle - 9 stickers per set.